Earlier last fall, we had to set up a sprinkler system to make sure our corn didn’t freeze. One night, after freezing temperatures, we woke up to the above sight by our corn! It was all pretty cool. 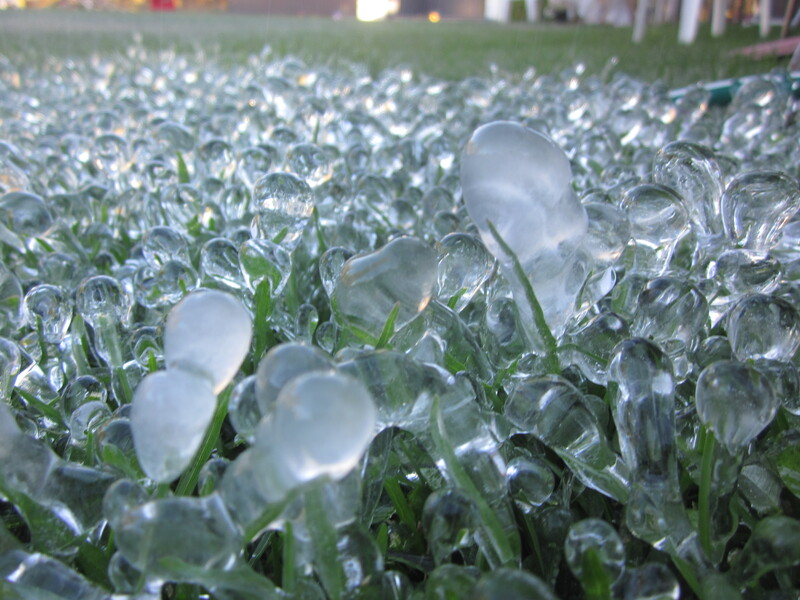 Each blade of grass had about an inch of ice growing off them and the fence was adorned with icicles. Looking at these pictures brought up a question. How do we keep so warm during the colder times when we are constantly surrounded by cold things? Then I kept it going and began to wonder about all the animals and how they stay warm. I began to wonder what amazing features gave just the right creatures for just the right climate. So my research began. This one is one of the most famous ones. When a land-dwelling animal has to survive in the colder temperatures, you will find him almost always, if not always, covered in fur. his fur, no matter how thick, traps heat against the animal so it doesn’t lose it in cold temperatures. If I could compare it to anything I would say it is like hair. As probably most of us guys know, during winter, when you get a haircut that cuts most of the hair off, you can feel a change in temperature, suddenly outside will seem colder. This is because you are losing the heat that is exiting from your skin. When you have hair on top of the skin it acts like a shield and keep the heat in and the cold out. Although blubber is most often found in sea-going animals that live in cold waters, many animals also use it. The polar bear uses both fur and blubber to create exceptional insulators that will keep much of his heat in. This may be one of the singular reasons polar bears are the largest carnivore in the world. When blubber is found in sea animals it is always in much larger scales, almost to the point where it looks like the whole creature is a big, lard ball with a face. I mean, look at a elephant seal for a moment! That thing is just plain out fat! But, the blubber surrounding his body is required for him to survive. Whether it is fur or blubber, the animals around us can survive the cold because God made them capable of overcoming what the climate might throw at them.